A British tourist is “shocked and upset” after being deported from Sri Lanka for displaying a Buddha tattoo on his arm, he says. 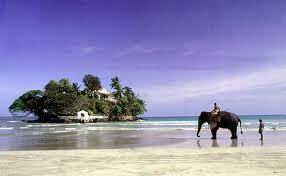 The tourist was turned back at Colombo’s main airport on Friday for allegedly showing a lack of respect for Buddhism. This entry was posted in Sri Lanka on 2013/03/17 by Trailsurfer. Sri Lanka’s tourist arrivals hit a record high in November and for the year, with visitor totals climbing every month on a year-on-year basis since a 25-year civil war ended in May 2009. Tourist arrivals in November hit a monthly record of 90,889, up 25.8 per cent from October, surpassing the island nation’s previous monthly peak of 84,627 in December. This entry was posted in Sri Lanka on 2011/12/20 by Trailsurfer.